How do you watch it? It keeps taking me to random pop up ads or making me download things...help? i love the movie it is really good and i think everyone should watch it bit violent, but definitly a good film to watch. I love this movie its my favourite movie ever 10/10! 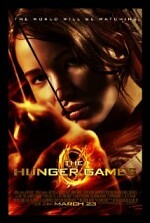 Cant wait till Catching Fire comes out. If you loved the movie as much as me try the books their really good! SUPER HUGE! MEGA HUGE FAN!!! THIS MOVIE IS D BEST! EVA!!! 9/10 movie well worth watching, 2hr 20m and seems like on 45m. Need better link. Despite a "putloker" link being there, the quality isn't good. It makes you lose interest in watching the movie. PEACE!!!!!!!!!!! When I first read the Hunger games, all the way through I was thinking about how it would be awesome as a movie, and now it's been made! Not QUITE as I imagined it, but still really great.